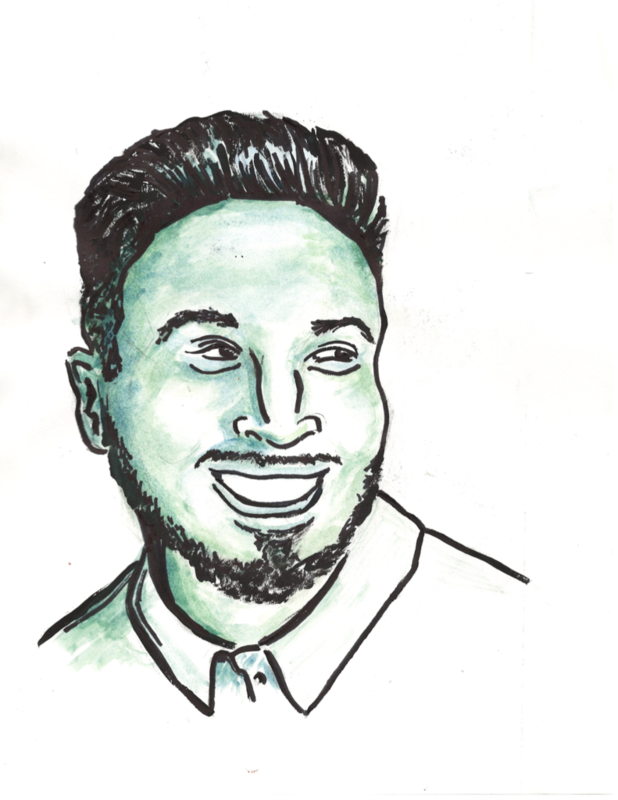 At twenty-five, Pilsen native Hilario Dominguez is the youngest candidate in the crowded race for alderman in the 25th Ward, which covers Pilsen, Chinatown, and parts of Tri-Taylor, McKinley Park, the West Loop, and the South Loop. The incumbent, Danny Solis, has held the position since 1996 — three years after Dominguez was born. Dominguez became an activist at a young age. While at Whitney Young High School, he helped organize a walkout to protest Chicago Public Schools budget cuts. His organizing continued through college, and he went on to become a CPS special education teacher. Earlier this year, Dominguez successfully ran for a seat on Local School Council for Whitney Young. In his current campaign for alderman, Dominguez picked up the endorsement of United Electric, the progressive labor union which engineered the successful factory occupation at Republic Windows and Doors in 2008, as well as the South Side chapter of Democracy for America, the political organization of former Vermont governor Howard Dean. Throughout his campaign, Dominguez has emphasized the need to “put community first” in the 25th Ward. The Weekly spoke to Dominguez about what that means in practice, his campaign goals, and some of the most pressing issues facing the ward. If you you had to describe or explain the alderman’s job to someone who doesn’t follow local politics, what would you say? What I’ve been telling people at the doors about what an alderman is or what an alderman does, especially families that aren’t familiar with the position, is that the alderman’s job, at its core, is to be a legislator, to make laws, in addition to serving the public quality constituent services. And those things include making sure the streets and the sidewalks are fixed, making sure that if someone is undocumented they know how to apply for DACA and they’re given the proper resources. In terms of small businesses, they know what resources are available to that small business in order for that small business to thrive and grow and to target the people in the community. So, that’s what I’ve been saying at the doors. The alderperson is meant to be a public servant and this current alderman has forgotten about that. What kind of coalition are you building to support your campaign? What is your strategy to grow and strengthen that coalition? When I think of the importance of coalition building, I think of, not only this community—being Pilsen—but communities across the ward. Our team and our staff are all built from around this ward. We have members from South Loop and West Loop, we have members from Chinatown, from Pilsen, McKinley Park, and not only do they vary by where they live, but how they identify, from queer to cisgender, from male to female, from Black to white. It’s something that I’m very proud of and something that I envision for the community. And in order to do that, we have to embody it in our leadership. Can you talk about your journey as a former elementary school teacher to now running for alderman in the 25th Ward? What made you decide to take the matters of your community into your own hands? For me, teaching has always been part of my life, and education has always been a part of my life. When I came back to Chicago and got to teach in the same public schools that raised me, it was probably the best and most difficult experience of my life. I was in charge of young minds. Everyday, I had the opportunity to make that direct impact with my students. Everyday, I also saw the systemic impact on their lives—inaccessibility to housing, poverty, unsafe streets, unhealthy neighborhoods. I saw that every single day when it felt like I was pressing the reset button on my classroom. And for me, those systemic oppressions and institutional problems really frustrated me. I left the classroom to try and make an impact on those systems and really to try to make a faster impact than I could as a teacher. That’s what ultimately led me in the row of being a candidate for alderman. My goal is to address those systems. My goal is to create the legislation and serve the public in a way we that can break down the systems and those institutions that impacted my students and still continue to impact youth and families and neighbors all across the ward. And that’s why I’m doing this. That’s what led me here as a candidate. Your road to becoming a teacher stemmed from you wanting to prevent youth from becoming involved in gangs, as you witnessed family and friends doing growing up. As alderman, what plans do you have to continue to provide alternatives to gang affiliation in your ward? That’s really important to me, and I’ll tell you why. I have an older brother that actually was just released from prison this year. Gangs were part of his life; that was a path that he chose at some point. And so for me, that issue hits home because when I look at gang members, I really look at them the way I look at my brother. These are young men and women who didn’t have the proper support that they needed to feel like they are a part of something. And so for me, it’s really important to figure out what structures we can provide to help alleviate that stuff. Not only in education, because it starts with us having fully funded public schools to be able to give resources to our students. In addition to that though, what are we doing to provide those resources in the community, so that when they leave the classroom they have things to do? Youth employment opportunities, youth internship opportunities, youth apprenticeship opportunities—those are things we need to think about how to provide. And there’s money for it. Often times, the question comes up [and they answer] “We don’t have the money for it.” No, the money is there; our priorities aren’t there. When we are prioritizing money for new stadiums or we’re prioritizing money for new cop academies, when we’re prioritizing our money that way, of course it’s going to seem like we’re broke. But the money’s there. We need to prioritize in the correct way in order to provide the right resources for our youth because essentially, that is the future of our city. Advocating for working class families is a major campaign goal of yours. What specifically do you hope to improve and do differently for working families in the ward? I grew up in Pilsen when the neighborhood wasn’t in Forbes magazine. I’ve seen working class families fight to build and maintain and sustain this neighborhood and then ultimately create something that [other] people are interested in and want to be a part of. To see how those same families who worked hard to build and create this neighborhood cannot afford to live here anymore, when we talk about fighting for working class families, we have to think about legislation and structures and resources that we can provide to help them thrive. And that falls under so many different policies. What are we doing to help families from displacement, specifically those who are fighting to stay in the neighborhood? What are we doing to help renters? Because there are no protections for them. What are we doing to help homeowners? And in conjunction with that, the bigger picture is, what are we doing to provide ways for them to earn living wages. We’re fighting for $15 an hour, but now [our reps in Congress are] telling us the living wage is even higher than that. We’re the only major city in the country that is seeing a constant pattern of people moving out. It’s telling of our leadership, and it’s telling of the holes that we have in our city that do not protect our working class families, our middle-income families, our poor families, and even the creatives, like the artists, that helped give this neighborhood and other neighborhoods in the ward their character. You briefly had a job with The Resurrection Project (TRP), a housing non-profit with ties to Alderman Solis. Can you talk to me about your work with that organization? I worked with for The Resurrection Project for six months after I left teaching. While I was working with The Resurrection Project, I was able to protect their own residents from being evicted; I was able to protect people in the neighborhood from being displaced. I was also even able to help a local housing cooperative [Pilsen Housing Coop] get established. So these are all things that I am proud of. However, there are also things that I am critical of, which is why I left in such a short period of time. I think overall, nonprofits are born to fight for the world as it should be. But systems are created that make it really difficult for them to do that sometimes. And in terms of TRP, there’s a system that allows them and ultimately forces them to be in direct relationship with leaders like the alderman or the mayor, which prevent them from fully fighting for the world as it should be and essentially staying close to the world as it is. And those are the things that I was critical of. They have to fight for the limited funding that exists in the state and that includes compromises that, to me, I wasn’t okay with. I’m happy I [left]. But I’m also proud of what I was able to do while I was there, to be able to fight back against gentrification. If you become alderman, what will you do to make sure that you remain connected and accountable to your community? If I’m elected, I plan to do three things to increase transparency, accessibility and accountability. This campaign is about putting people first, and it starts with those three things. The first thing we want to do is prioritize our budgeting. It directly correlates to what an alderman does, as far as constituent services. By building a space that gives the power back to the people, it allows them to make decisions about the infrastructural changes they want to see in their ward. Second, we’re going to do community-driven zoning and development. This also creates the spaces for people to have decision-making capabilities in what development comes to their ward. Often times, people are not included in the process of development. Officials throw a big event, or they throw a community meeting, and it’s very much after the decision has been made. It’s very important to give that power and those decision-making capabilities to the people, and as a leader I hope to build the table in order to do so. Third, in this community, our current alderman is completely inaccessible, unless you pay to play. If you visit his office, it acts very much like a checks-cash location. You walk in — actually, you have to get buzzed in — you walk in and there’s a door and small window, and through that window you talk to the staff. Most of the time, you just sit outside the window, they come, they give you the application or give you whatever you need, and then they send you on your way. As alderman, I plan to increase accessibility by going to the people. For the first four months, we plan on having ward nights every single week. And after those, we will continue those ward nights regularly every other week. And those locations will not be in the office, but be in central locations in the ward. You’re talking about locations with high traffic areas. That way we can come to the people and directly ask what they want to see and what changes they want to make in the community. Is there anything else you’d like our readers to know that I didn’t touch on? I want people to know that I’m no politician. I am, and what I’m fighting to be, is a public servant. And that’s what I’ve been all my life. I grew up in the movement, I grew up fighting for our community. You can see it in my experience in high school and you can see it in things I did in college, like when Freddie Gray was murdered unjustly in Baltimore city and how we fought back and pushed back on our school and on the city to support the Black Lives Matter movement. I want people to see my work there, my work as an organizer—that’s what makes me the best leader and the best candidate and why I should be alderman here. I’m able to see how we are able to put people first and provide the proper plan to do so that will protect our working class, middle class, creative people that helped build these communities in the ward. And lastly, I want people to know we cannot do this on our own. This campaign cannot work in the silos. We have to build a movement that will transcend the campaign and go over into governing, because that will be the hardest part if we want to create change. April Lane is a Bronzeville-based writer. She spends a sizeable chunk of her free time attending poetry readings and visiting quirky candy stores throughout the city. She last wrote for the Weekly about Chicago’s gang database. Thank you for the article. We need to know who to pick out of all the people running in the 25th Ward. The old Alderman is inaccessible and does not run his own office and now tells us through facebook that he goes to his grandkid’s soccer games. Sol Solis is trying to patch the leaks at the office that are obvious. Lately, she has become combative in Facebook pages regarding her family and is always talking about the West Loop events. It’s odd. Danny listens when he is around and is polite. I’m trying to get in touch with his old employee Vince Sanchez if anybody can get me his contact, I’d appreciate it. Pilsen needs a qualified candidate. I want to know Hilario Dominguez has budgeting experience and if his interest is Pilsen, why be part of Whitney young instead of Benito Juarez? Danny is out to lunch and his staff can be very demeaning and Ward Nights are a joke – thru the window, as mentioned. Set up an appointment they say. How come no one calls back and who will fix the parking problems in Pilsen?